Looking for a cure for your wintertime cabin fever? Head to Oakland where there are plenty of attractions to fill an afternoon. Here are just a few. 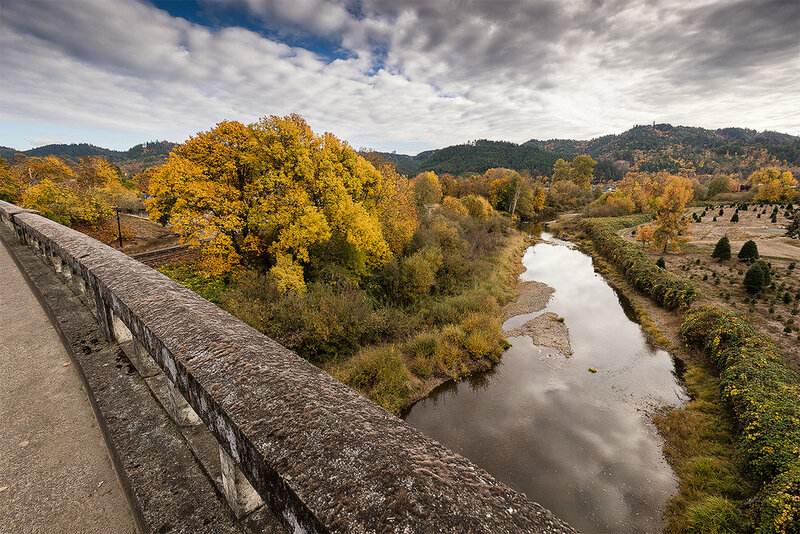 Oakland may not be the bustling railroad and commerce hub that it once was, but the peaceful, close-knit town known for its antique shops and historic buildings is a pleasant place to spend an afternoon. But Oakland is more than antiques; other local businesses offer a variety of their own unique experiences. Douglas County residents (and others) rejoiced when the renowned Tolly’s reopened in October. Tolly’s had been a favorite celebratory dinner and afternoon ice cream spot for more than four decades. 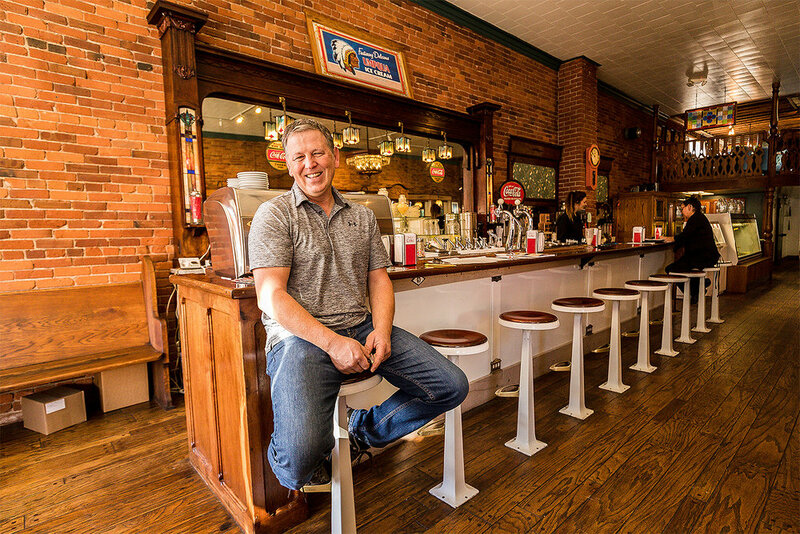 The original owners’ youngest son, Paul Tollefson (pictured above), purchased the building housing Tolly’s, and the business is up and running again. Steak and salmon are on the menu in the beautiful dining room, which features hand-carved wood and stained glass, antique furniture and walls of colorful candy in glass jars. 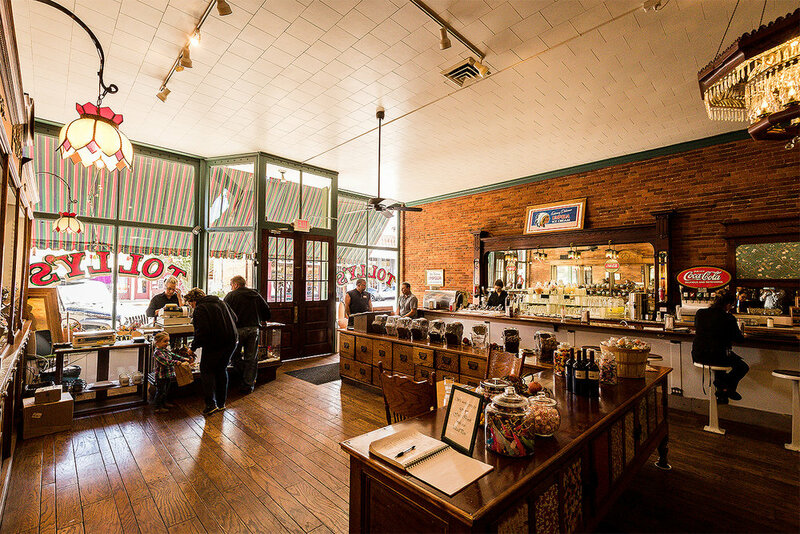 Or simply sit at the vintage counter and indulge in an old- fashioned ice cream soda, an almost-lost simple pleasure of 20th-century America. Rachel Gertie Dean holds a master’s degree in art therapy and envisions bringing color, aromatherapy, yoga and community to Oakland, where she returned after pursuing her education and a career in Portland. Dean took a sabbatical to care for her two young children and, in 2017, opened Yoga Lotus in Oakland’s historic Chenoweth building. A Sunday-morning yoga class meets each week at 9 a.m. Monthly Sip & Dip classes let people go home with works of art — which are often contributed to charitable organizations. A massage therapist works out of the back space, and private art therapy sessions are available for clients of all ages. Upcoming events featuring art, wellness, wine, produce from Rachel’s backyard and, almost always, chocolate, are listed on Facebook or Instagram. The building that houses the museum is itself a museum piece. Built in 1893 by one of the city’s founders, it housed a grocery store and an adjacent post office for 65 years, until 1956. It had been vacant more than a decade when it was rehabilitated and occupied by the Oakland Museum Historic Society. The museum houses exhibits depicting Oakland during the 19th century. Placards describe typical daily events and provide brief biographies of the city’s founders and notable businesspeople. 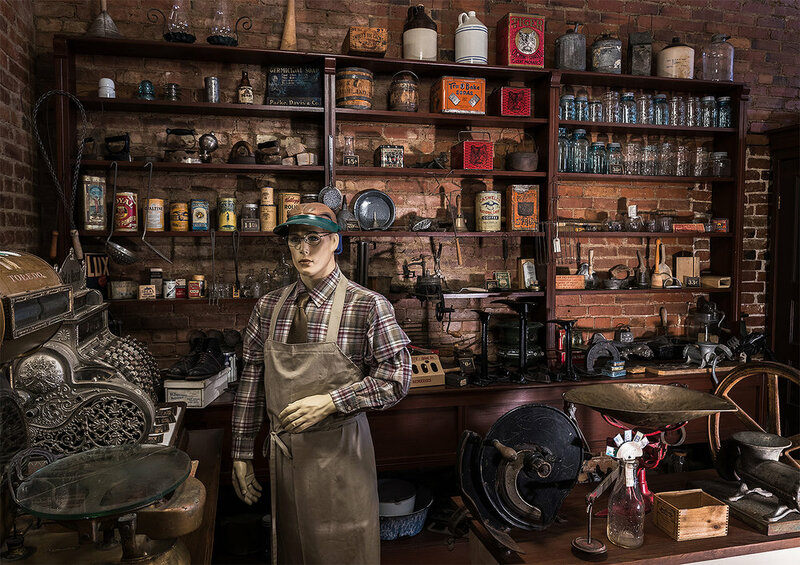 Among its exhibits are a druggist’s record of prescriptions, a doctor’s tonsil remover, replicas of the old post office and bank, logging equipment and other items — many of which were prized possessions of the families that donated them. The museum celebrates 50 years of operation in 2019. It is funded by private donors, staffed by volunteers and is open daily from 12:30 to 3:30 p.m.